Ring Wrapping Machine H1000L -H series Ring Streth wrapping machine- is designed for wrapping coil products (such as bearing, steel wire, steel ring, etc.) individually by using stretch film, knited mesh and anti-rust packing paper as packaging material. Advantage is fast speed and convenient operation raising the work efficiency greatly and lowering the labor intensity for the workers. Looking for ideal Special Wrapper for Steel Wire Manufacturer & supplier ? We have a wide selection at great prices to help you get creative. 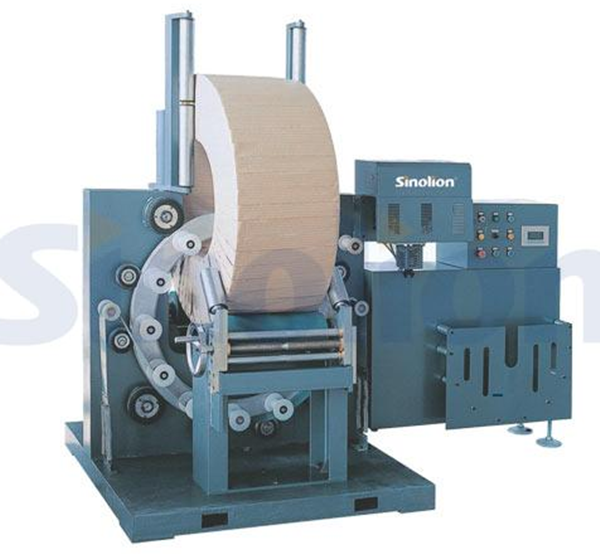 All the Packing Machine with Anti-rust Packing Paper are quality guaranteed. We are China Origin Factory of Ring Packing Equipment. If you have any question, please feel free to contact us.